Power Inn Alliance and Paladin Private Security (P.P.O. 15029) have partnered to provide additional security for the Power Inn district. Security Patrol and Alarm Response (SPAR) provides patrol response to activated alarms for businesses and organizations in the Alliance boundaries – paid for by Power Inn Alliance. Day or night. Free of charge. Relieves law enforcement from responding to false alarms. Prevents members from paying false alarm fines up to $320 per call. Increases patrol coverage in the Power Inn area. 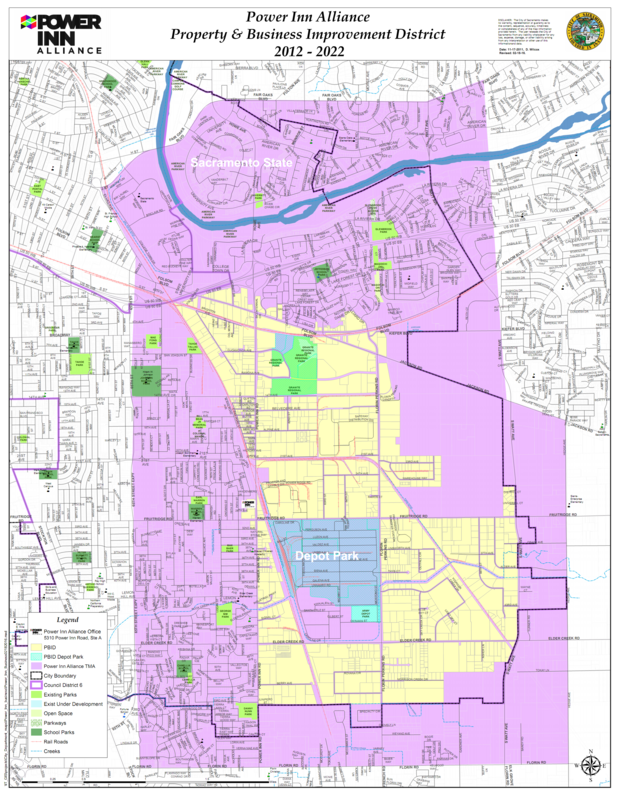 For no-charge alarm responses, business or organizations must be within the Property and Business Improvement District (see map). The location must have a working alarm system installed and permitted with the City of Sacramento. For more information, visit Alarm Permits – City of Sacramento. To sign up, fill out the Request form AND Notice of Agent then send into Power Inn Alliance in person or via electronic form below. The number of calls is based on annual and membership. If you are unsure about your membership, please contact Power Inn Alliance. * Any calls longer than 15 minutes, or other services required will be covered by the property or business owner. Lessees should contact property management. * Other services may include: Waiting for law enforcement or property owner, or boarding windows/doors.